When it comes to car audio, Infinity has been making great car audio for decades! They harnessed all this experience, knowledge and technology to create their best of the best. Enter the Infinity Kappa Perfect Series. It’s a 2-way speaker system, with a 3-way option. Up for review today is the Infinity Kappa Perfect 900, and Kappa Perfect 300. The Infinity Kappa Series is a 2-way component system, with the option of turning it into a 3-way system. They’re 2-way systems come with a passive crossover that can be used for either a 2-way or 3-way system with an easy flick of a switch. The options are the Kappa Perfect 500 which uses a tweeter and 5 ¼ inch woofer, the Kappa Perfect 600 uses a 6.5 inch woofer, and the Kappa perfect 900 uses a 6x9 inch woofer. And if you want to turn it into a 3-way system, all you need is the Kappa Perfect 300, which comes with just a pair of 3.5 inch midranges. The Infinity Kappa Perfect 900 and Kappa Perfect 300 came in a great looking color printed box, with photos and specs of the system. Opening the box revealed a well protected system held in place by custom cut out cardboard and foam. Materials used was mostly metal with some plastic. Quality of materials used was excellent and the fit and finish was stellar! These drivers are the best that Infinity can do, and it shows. They are built like a tank! The same is also true for the crossovers, as well as the 3.5 inch midranges from the Kappa Perfect 300. Also included were the owners manual, and installation hardware. I have not seen a better built component speaker system. Having been a car audio enthusiast for almost 30 years.....that's saying something! The woofer and midrange both sit in a monsterly built cast basket. To help improve cooling, there are opening on the sides. Looking in through the side, you can see the motor sits in the cast basket like a bowl. Looking through the bottom, of the two openings on the side, you can see the top of the motor on the bottom, the voice coil, and at the top you can see the spider. Looking through the top of the two openings on the side, you see the spider on the bottom, and the cone on the top. You can also see the wire stitched into the spider. It’s excellent quality throughout! Wiring up the system was extremely easy. The crossover network was clearly labeled with + and – markings for the woofer, midrange and tweeter. On the side of the woofer is the wire connector that is again clearly labeled with a + and -. There is a small hole underneath to feed the wire into. A standard Philips screwdriver is used to tighten it down. The tweeter comes with a lengthy wire soldered to the bottom of the tweeter, with red and black wire for positive and negative. And for the tweeters came mounted hardware for either flush or surface mounting. Now that it’s set-up, lets hear how they sound! Styx: Best of Times: vocals were extremely natural sounding with excellent texture and timbre. Imaging was spot on. Percussion was crisp and clean with nice resolution, being able to hear the sticks on the snare and cymbal. The dynamics were great, and the kick drum had nice impact and depth. Lady Gaga: Starstuck, bass was extremely deep, hit really hard with great authority, sounding almost like 10’s. The claps were clean and extremely dynamic. Vocals were smooth with great harmonics. Eric Bibb: Don’t Ever Let Nobody Drag Your Spirit Down, piano was very natural sounding with good harmonics. Bass was very deep, smooth and played with great authority. Vocals were silky smooth with excellent resolution of the timbre, and great imaging. Percussion was crisp and clean with great dynamics. Infinity has done it again. They took all of their experience and know how to make the best component speaker they can. And they hit it out of the park. They are built like a tank to provide years of use. And they sound phenomenal doing it. The Infinity Kappa Perfect system provides the kind of resolution that is not typically heard in car audio. The fact that they offer a 3-way version is just icing on the cake. I love the extra dynamics, and over all improved sound, partly due to a well done crossover. No matter the genre of music you may prefer, the Infinity Kappa Perfect system performs amazingly. The Infinity Kappa Perfect 900 is great if only a 2 way system will work in your vehicle. But if you can manager to find a way to mount a 3.5 inch midrange, getting the Infinity Kappa Perfect 300 is so worth it! 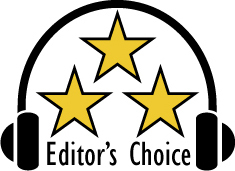 Based on their design, features and quality, the Infinity Kappa Perfect system has earned out Editor’s Choice Award. For more info and complete specs, check out their website at www.inifinityspeakers.com. Reference gear used: Kenwood Excelon DNX-893S Receiver, AudioControl DM-810 Digital Signal Processor, JL Audio NexD 600/6 amplifier, Image Dynamics IDMAX10 subwoofer, and Massive Audio Nano BLU BL1 sub amplifier.